Having forgotten earlier to write about Bernard Shaw, I suppose it was not surprising that I had forgotten too about Katherine Mansfield. Her principal claim to fame is that she was the first exponent of the short story alone, and she certainly brought the genre much more critical acclaim than it had received previously. 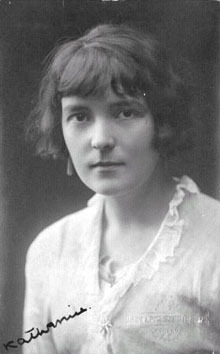 Katherine Mansfield was born in New Zealand, but spent some years in her teens in England, during which she also traveled on the continent. New Zealand obviously proved dull after that, for she came back to England when she was 20, and spent the next and last 15 years of her life there. She married twice and had lots of affairs with people of both sexes, while writing prolifically in spite of much illness that culminated in the tuberculosis from which she died in 1923. She discovered Anton Chekhov while she was dealing with an unwanted pregnancy in Germany and, influenced by his sharp eyed observation of the extraordinary vulnerability of the ordinary, she developed into a masterful writer. To all intents and purposes the tone of her work, that of pervasive melancholia, scarcely changed, but her subject matter was varied and usually very moving. I first came across her work in a collection which was prescribed for study for I think the Ordinary Level, forty or more years ago. It was a difficult enough book then, and I was surprised to find some of the stories recurring more than a decade later, for example Lawrence’s ‘Odour of Chrysanthemums’ and even Conrad’s phenomenally difficult ‘Secret Sharer’. Thankfully Katherine Mansfield’s ‘Daughters of the Late Colonel’ was not, I think, regurgitated, for it would have been much too subtle for students in the eighties to have appreciated. This is the area about which most concerns are expressed, though it seems to me less important than proactive measures to promote reconciliation, through ensuring the future well-being, prosperity and integration of those who suffered in the past. At the same time remedial measures are desirable in cases in which there is clear evidence of violation by the state of laws. Whilst it is not incumbent on the state to look for such evidence, it should certainly investigate instances in which a prima facie case seems to have been established. My own view is that in hardly any instance has such a case been established. However I believe there is at least one instance in which the state should have taken legal action, and our failure to do this has prompted blanket criticism which is not warranted, and distrust which, if not warranted, is understandable. I refer to the case of the killing of five youngsters in Trincomalee in 2006. I have long urged that indictments should be issued in that case. I respect the response of the Attorney General at the time, that a prosecution would not be successful because the evidence was incomplete, but my point was that there was need of a clear message that such conduct was not acceptable. Given the standards of proof required by our courts, there would have been no reflection on the Attorney General’s Department had the case failed, just as there has been no reflection on say British justice even though there was only one conviction in the Abu Ghraib case. The point is, the state has made its position clear, and indicated that individual aberrations will not be condoned. If the state does not do this, there is danger that such aberrations might appear systemic, and indeed become so. Fortunately there is no evidence of this occurring in Sri Lanka. I say this with some confidence, because I made it my business, as Head of the Peace Secretariat, to monitor events during the war, and to ask for explanations when there were reports, on TamilNet and elsewhere, of what might have seemed aberrations. I received prompt responses from the airforce on all occasions, and from the army on most, though obviously, with the field of action more widespread, these answers were less thorough. This area is of importance not only for the Sri Lankan state, so that it can prevent the recurrence of past mistakes, but also for the world since it is vital that international terrorism must be dealt with firmly even while attention is paid to the grievances of those who might be tempted into terror. The cardinal mistake in the process in Sri Lanka was the confusion of those who had grievances which needed to be addressed with those who had turned to terrorism to redress those grievances and refused to move away from terrorist practices and absolute aims. Though it is essential to combat terrorism, any state must be sensitive to what might have made people turn to terrorism. Therefore it must be ready and willing to engage in discussions. Remedial action with regard to grievances should however be on the basis of general principles and should benefit all those affected, not just the proponents of terror. Sri Lanka removed the institutional reasons for grievances in 1987 with the Indo-Lankan Accord. Much practical work however remained to be done to restore a sense of equity. This is not the place to discuss whether inadequacies were due to lethargy on the part of the state or distractions arising from the continuation of terrorism on the part of the LTTE. What is important is that, following the destruction of the LTTE in Sri Lanka, practical work should proceed apace. It should also be noted that this government actually began some practical work that should have occurred long ago, through for instance measures instituted by the Ministry of Constitutional Reform and National Integration to ensure bilingualism amongst new recruits to the public service. The targeted recruiting of Tamil policemen is also an example of the positive approach of this government. I believe the first of these is the most important. It is also the easiest to achieve. In fact we have done much in this respect already, inasmuch as inequitable development in the country was one of the principal reasons for resentment and the gradual move to separatism. Rapid infrastructural development, accompanied by strategies for targeted investment, has made clear the commitment of government to ensuring better opportunities for all. Coordination of such initiatives and others should be done through the Presidential Secretariat. The Peace Secretariat had begun some work in this regard, but this had been overshadowed by its other work in the last couple of years of its existence, which led to the view that it had fulfilled its role and could be closed down in 2009. No single Ministry however can provide the overall conceptualization that a long-term programme of reconciliation needs. It should be noted that the importance of this aspect of reconciliation, which is forward looking, has been comparatively ignored, given the pressures to dwell on the past. These pressures are understandable on the part of the remaining supporters of the LTTE, so as to revive tensions, but all those truly concerned with peace and reconciliation should remember that the future must take precedence over the past. 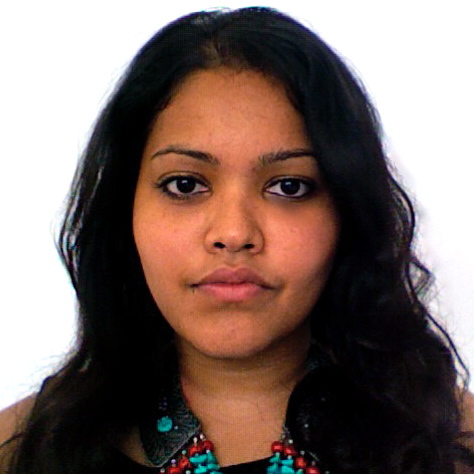 Selyna Peiris, President of the Sri Lankan Liberal Youth organization, was elected Chair of the Asian Liberal Youth Caucus, which has been established in affiliation with the Council of Asian Liberals and Democrats. Ms Peiris received her first degree from the University of Hull, and has Masters degrees in Law from University College, London and in Advanced International Studies from the Diplomatic Academy in Vienna. She is currently completing her Attorney’s Exams in Sri Lanka, while working in a legal firm and in humanitarian assistance. Ms Peiris was previously the Sri Lankan Liberal Party intern with the Alliance of Liberals and Democrats for Europe at the European Parliament in Brussels. The Secretary General of the Sri Lankan Liberal Youth, Chamil Prasad, will take up another internship in Brussels later this year. Ms Pieris was accompanied to the Youth Caucus meeting by Mr Upai Saddhnanda, who has been working on workshops in liberal democratic principles for young people in the Eastern and Southern provinces, based on an initial initiative of the National Democratic Institute. Despite the conclusion of that programme, the Liberal Youth group hopes to continue with such initiatives, in particular in the context of national reconciliation and the expansion of opportunities for young people nationwide. The Sri Lankan Liberal Party is the current Chair Party of CALD, and Prof Rajiva Wijesinha, Chairman of CALD, delivered the keynote address at the inaugural meeting of the Caucus held in Kaohsiung, Taiwan, from 18th – 20th August 2010. 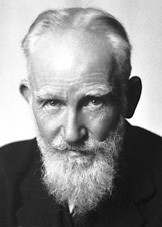 It was astounding that I had forgotten George Bernard Shaw, in writing about classic British prose writers of the 20th century, and my surprise is compounded by the fact that two extremely erudite friends from whom I had invited suggestions had not recommended him either. One of them did suggest that he was an insufferable old bore but, though I can understand the comment, that is not the whole story, and his achievements were certainly considerable. It is possible that in my memory he, or at least his most influential work, belonged to an earlier period, given that both ‘Plays Pleasant’ and ‘Plays Unpleasant’ had been published in 1898, but the essence of a play is production, and only three of the seven plays in the two volumes were produced in the 1890s. Indeed ‘Mrs Warren’s Profession’, recognizably the least pleasant of them since it dealt with prostitution, was publicly produced only in 1925, though it had a private performance in 1902. 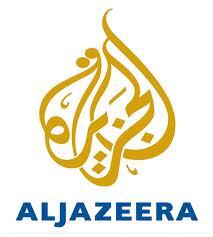 Al-Jazeera interviewed Prof Rajiva Wijesinha regarding the European Union’s withdrawal of GSP plus. In addition to the points mentioned in the article, Prof Wijesinha drew attention to the reprehensible approach of the EU in seeming to use GSP + as a political tool. He noted the much more healthy approach of the current British government, which understood the importance of trade in promoting international links, and hoped this would influence the EU positively for the future. The European Union has ended its special import concessions to Sri Lanka. The withdrawal took effect on Sunday after Sri Lanka refused to allow scrutiny of its human rights record during its civil war that ended last year. The EU is Sri Lanka’s largest trading partner, with trade worth $3.7 billion a year, or some 20 per cent of the island’s total trade. Sri Lanka has long been a preferred manufacturing base for popular brands of garments, and those exports enjoyed lower EU tariffs under a concession known as the Generalised System of Preference Plus (GSP+). “The EU’s decision to press ahead with the removal of trade benefits shows how the [civil] conflict continues to cast its shadow over the country,” Al Jazeera’s Minelle Fernandez reported from Colombo, the capital. When the trade concession came up for renewal last year, Sri Lanka’s government refused EU demands for a probe into war crimes allegedly committed in 2009 during the last months of the country’s ethnic civil war. “It is high time that the EU stops bullying Sri Lanka, which did a great job in fighting terrorism, and is now being punished for it. It is appalling,” Rajiva Wijesinha, a Sri Lankan MP and former secretary of the human rights ministry, said. “The EU has intended it as a form of punishment, but I don’t think this will work,” he added. Ajith Nivard Cabraal, the head of Sri Lanka’s central bank, told Al Jazeera that he is confident that his country would be able to absorb the withdrawal of the concession. “We have prepared for this end of the war scenario for some time now and that is why we are able to move towards this new era with a lot more confidence,” Cabraal said. Business executives were less optimistic and said they understood EU concerns, but also warned that cancelling tax breaks in return for commitments on social and rights issues would achieve little. The loss of the concessions comes as Sri Lankan exporters are already reeling from a weak recovery in Western markets and thin profit margins. Sri Lanka's apparel industry fears some factories may be forced to close because of the EU action. Companies say withdrawing GSP+ will hurt most of Sri Lanka’s apparel industry, which is the country’s biggest industrial export sector and employs over a million people in 250 factories clustered around Colombo. “We will lose around $500 million from our annual earnings of just under $3 billion,” said Rohan Masakorale, secretary general of the Joint Apparel Association Forum (JAAF), an industry body. JAAF says some European buyers may pick up the extra 10 per cent in taxes or share it with local manufacturers, but others may shift their business to rival countries. “Some factories [in Sri Lanka] may close, there will be more consolidation going forward,” Masakorale said. Currently 45 per cent of garments are shipped to US buyers like Victoria’s Secret and Masakorale says the forum is pressing the government to strike new trade deals with Japan, Australia, Brazil and Russia. “We are looking at different markets and trying not to depend on the EU. Even a five per cent increase in other markets would help,” Masakorale said. The entire text of Historic Buildings by Goolbai Gunasekara, covering twelve famous constructions, is now available on that website. Whenever we think of the Kremlin we think of Russia. 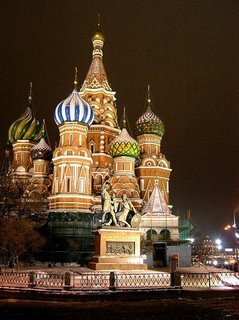 It is in the very heart of Moscow. The Kremlin buildings have grown along with the Russian State and they are indissolubly linked with the history of the country. 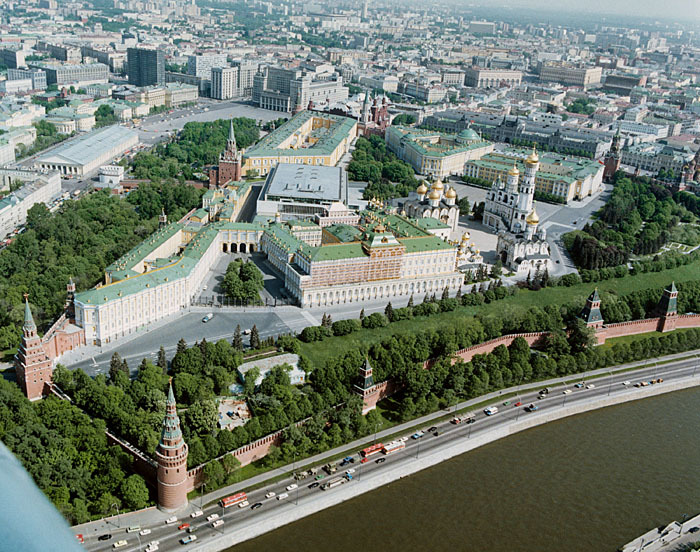 The Kremlin is situated on the Moskva river on the high left bank. The first time the Kremlin was mentioned was around 1475 when the architect Aristotele Fioravanti was invited by Czar Ivan III to plan the overall architecture of its walls and towers. But this does not mean that the Kremlin was being built for the first time. There had been an earlier Kremlin built of white stone in the shape of a triangle. The triangle of the new walls repeated the old triangle. The old buildings and the new ones eventually became a distinctive architectural ensemble. The Kremlin consists of many buildings, both secular and religious. There are lovely churches like the Cathedral of Archangel Michael. There was also the old Patriarchal Palace which is now a museum. What many see as the central building of the Kremlin, the Great Palace, was built in 1838 under the direction of Konstantin Thon. To build this magnificent edifice old Kremlin buildings were torn down. The old palaces of the Czar gave way to the new one. The Kremlin is huge. It is not possible to describe every section of it. It is enough though to say that it is of exceptional historical and engineering interest. It is also most artistic. 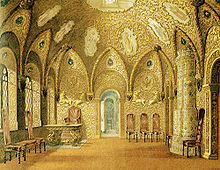 A 17th-century hall in the Terem Palace, as painted in the 1840s. Everybody knows the story of the Taj Mahal. One of the great Moghul Emperors of India, Shah Jehan, built it when his beloved wife died. He ruled over almost all of India from 1628 to 1658 AD. His love for his wife is a romantic story that is like a fairy tale. Babur, a great Mongol king, conquered India in 1526 and established the Moghul Dynasty (Moghul refers to the Mongol conquerors of India). The first four emperors developed their power and set up a system of Government that included all Indians, Hindus and Muslims. Among them was Akbar, one of the truly great monarchs of all time. By the time Shah Jehan became emperor he could turn his mind more fully to cultural activities too. Emperor Shah Jehan was a handsome man. He looked every inch a Prince. 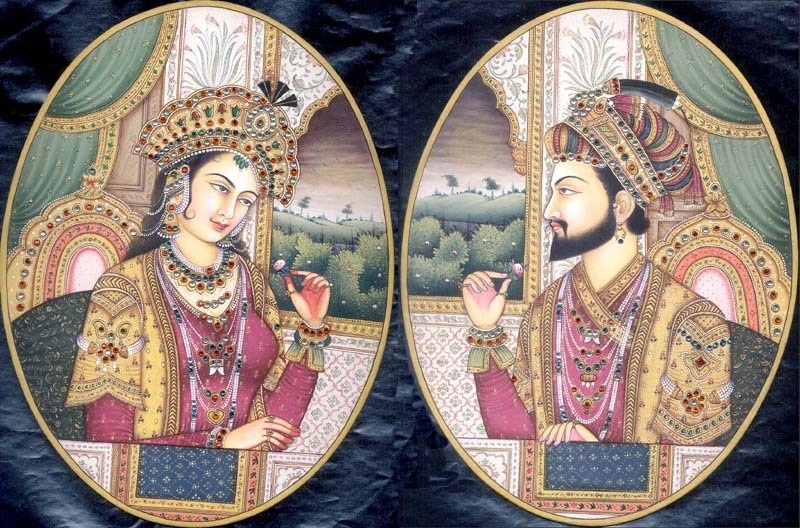 His wife, Mumtaz Mahal, was half Persian and was one of the loveliest women at the Moghul Court. ‘She had long black hair, delicate eyebrows and skin like a lily.’ wrote one poet. 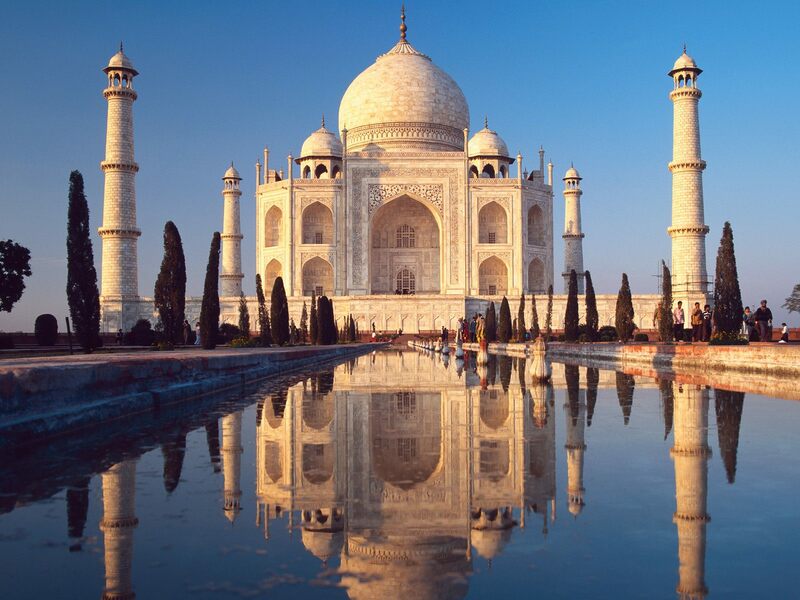 But more than her beauty, Mumtaz Mahal was a very good woman. She was an excellent wife and mother. She was kind and helped hundreds of women in distress. She was loved by all and most of all by her husband. The first place a tourist in Rome wishes to visit is usually St Peter’s Cathedral. It is the largest church in the world and certainly the most famous. The site of the church has a story behind it. It is believed that St. Peter, Jesus Christ’s chief disciple who is said to have been the first Bishop of Rome, was martyred and buried around 64 BC on the very spot where St Peter’s Cathedral now stands. It was therefore considered holy ground even before anything was built on it. In 319 AD the Emperor Constantine built the original basilica there. It lasted over a thousand years. But in the 15th century the Popes, as the Bishops of Rome were called when they established themselves as the heads of the Catholic Church, left Rome and lived at Avignon in France. There was a split in the Catholic Church and many old churches were badly neglected. 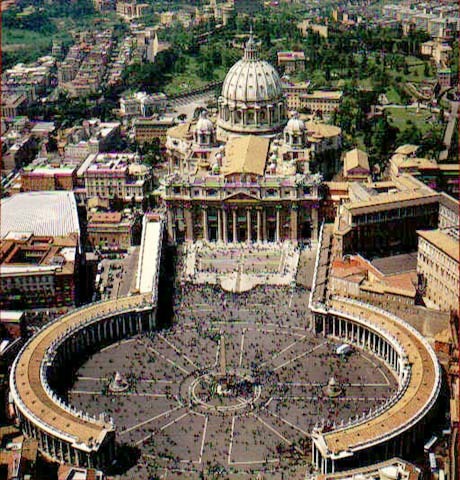 St. Peter’s was particularly affected so Pope Nicholas V began a new construction when the Papacy came back to Rome.